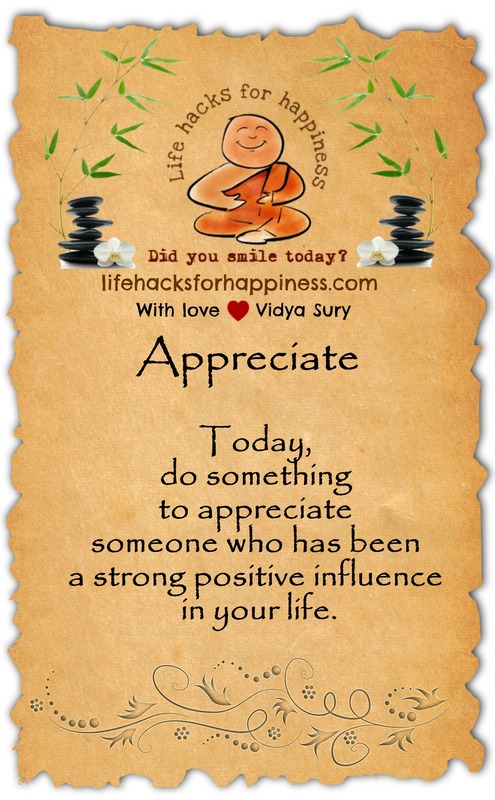 Today, do something to appreciate someone who has been a strong positive influence in your life. Connect via phone call/ in person, write them a letter/email, buy them a present or give them the gift of time. We should do this every day! Thanks for the reminder! Love your blog name and the new look. The positivity is contagious. Good start. Looking forward to your posts. A fantastic theme! I’m looking forward to reading more. I love this idea. There is no doubt that what we focus on most we bring into our lives. It is a wonderful little reminder to do something that matters to others every single day!